Columbia Home rental, LLC specializes in single family homes in quiet neighborhoods. Most of our homes are 3 bedroom, 2 bath, 2 car garage properties. All are designed to be a great home with many extra touches to make them personal and unique, like the residents who live in them. Single family home with a split foyer design with 3 bedrooms, 2 bathrooms, 2 car garage sits on a quiet cul-de-sac with extra large yard. Solid surface flooring throughout the home. Lower level features a finished bonus room with extra details such as a built in folding table in the laundry room and the barn-style door to large storage space under the stairs. Pet friendly home, with extra fees. 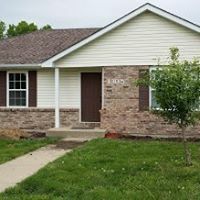 Located near schools, parks and just minutes from downtown. Easy access to either Hwy 63 or I-70. 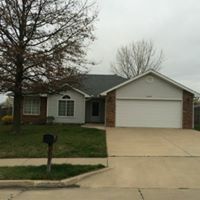 Duplex located oclose t a cul-de-o schools and parks with easy access to Hwy 63 and I-70.